The days of the popular Skoda Fabia S200 are numbered, as the model will make room for the future Fabia R5 rally car, which was recently previewed in first shots. The new Skoda Fabia R5 rally car was unveiled as a concept car at the 2014 Paris Motor Show and will continue the battle left by the well-known S200 rally model. 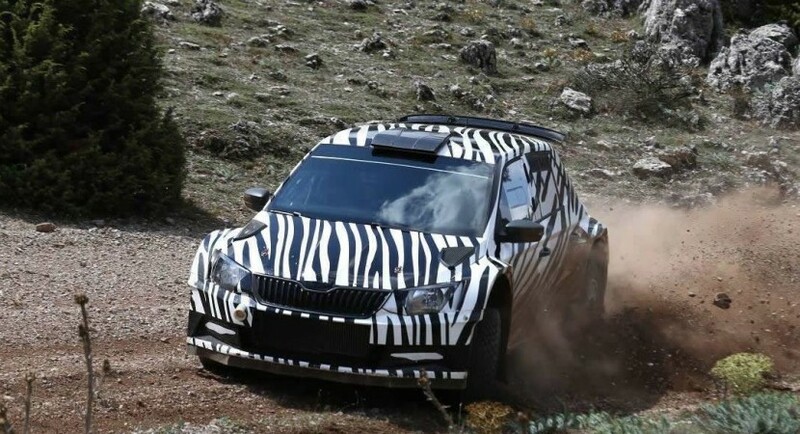 But for now, the problem is that the pictures with the upcoming Skoda Fabia R5 rally car, are showing the model all wrapped in camouflage, so you will be really disappointed in case you wanted to poster them into your room`s walls. Anyway, the pictures with the upcoming R5 is showing the rally car with a wider body, a ventilated hood, a rear wing, a roof scoop, a centrally positioned exhaust pipe, or flared wheel arches. 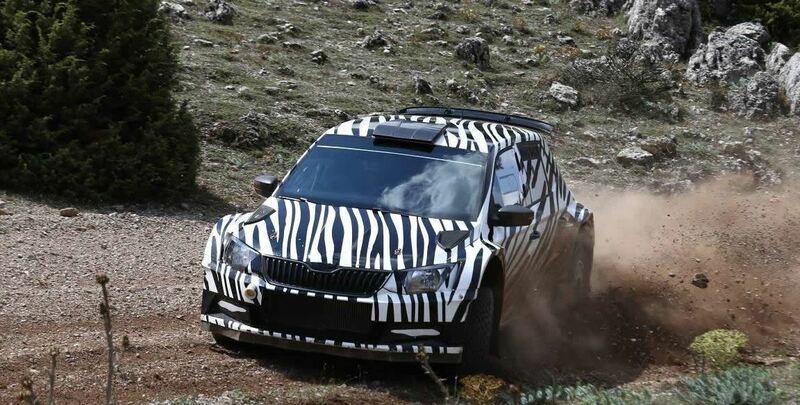 This shows that the Skoda Fabia R5 is a camouflaged prototype, meaning that the carmaker is still working on the racer, until it will eventually come out on the market, somewhere next year.